Yes please ! More time and lots of it, more time with my family and for myself. Time is the most precious gift we can give or receive. 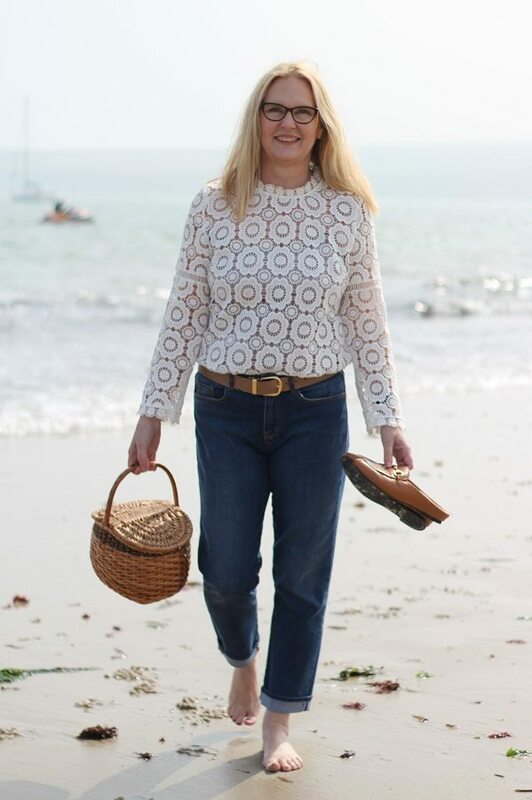 These days we are all busily rushing around, but doing what? The washing, the ironing, cooking, shopping or at work earning a living. I know, I know! some of these things have to be done, but how about we step back and look at out priorities. Can the chores wait until later? Choose instead to have a coffee and a chat around the kitchen table. I want to return to face to face conversations, not texting or face timing! 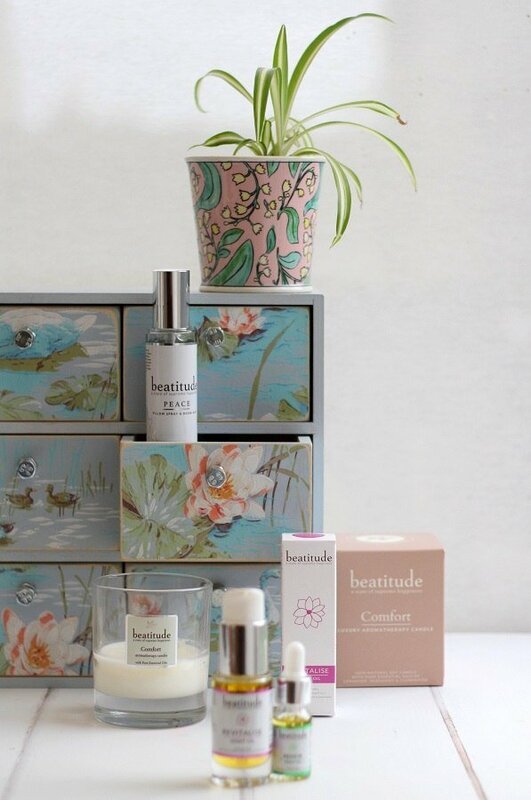 So this year what I’d really like for Mothers day is some extra time and some bottles of Beatitude please! Give me more time please! Taking one luxurious long bath per week (I usually have quick showers) & give my self a facial and a manicure on a regular basis. Not look at my phone when I eat my lunch! Spend more time in the garden with Mother Nature. To help me with my plan for more quality time I have discovered a beautiful range of products! As you know I am choosing natural products above others wherever I can these days. 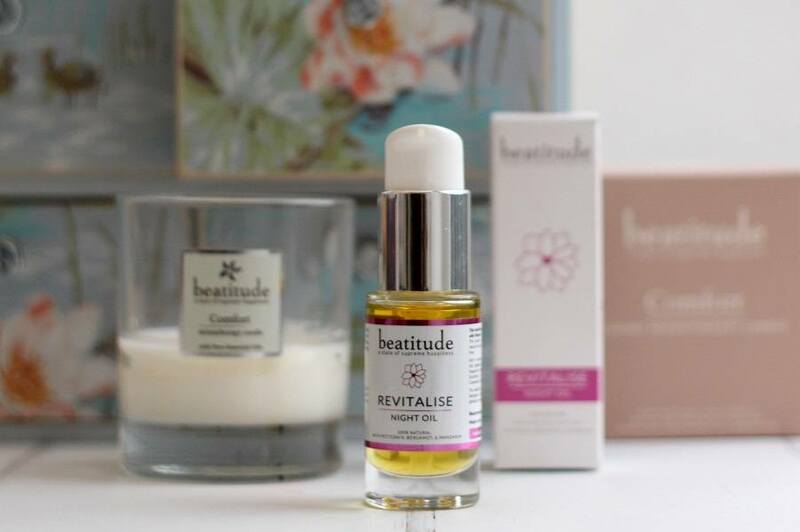 Founded by Rebecca O’Connor, beauty therapist and aromatherapist with over twenty-five year’s experience, Beatitude products use only 100% natural high quality ingredients. 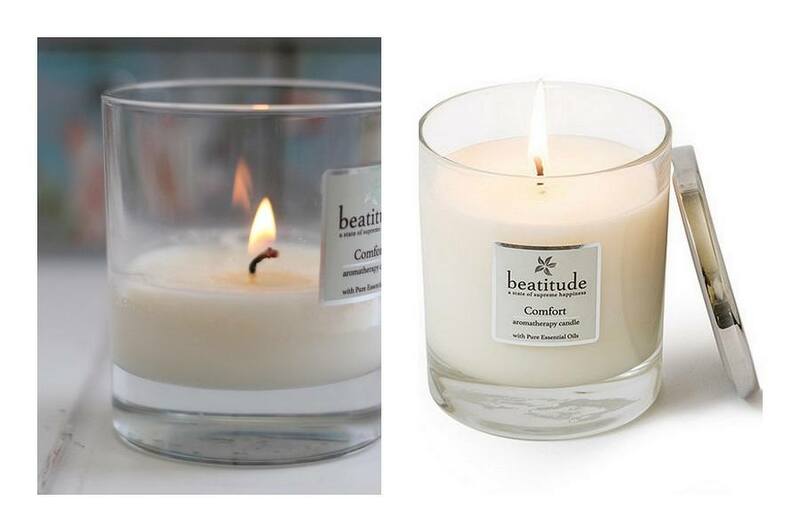 Does not use synthetic fragrances, harsh chemicals or bulking materials. Products are all manufactured in Great Britain. That the packaging is recyclable, even the paper of the bag is compostable and the glass bottles can also be re-cycled and re-used! I am a huge fan of facial oils. My skin has become so much dryer with age. Facial oils used during the day (unless I am at home all day) are hard to wear for obvious reasons. At night however, they are the perfect bedfellows and can go to work on your dry skin while you sleep. along with soothing Squalene, Calendula, Oat and Wheatgerm Oil. Sulphates, Silicones, Synthetic fragrance & colour, Petroleum, Parabens, GMO’s Tea and DEA. …how I wish you could smell this one! 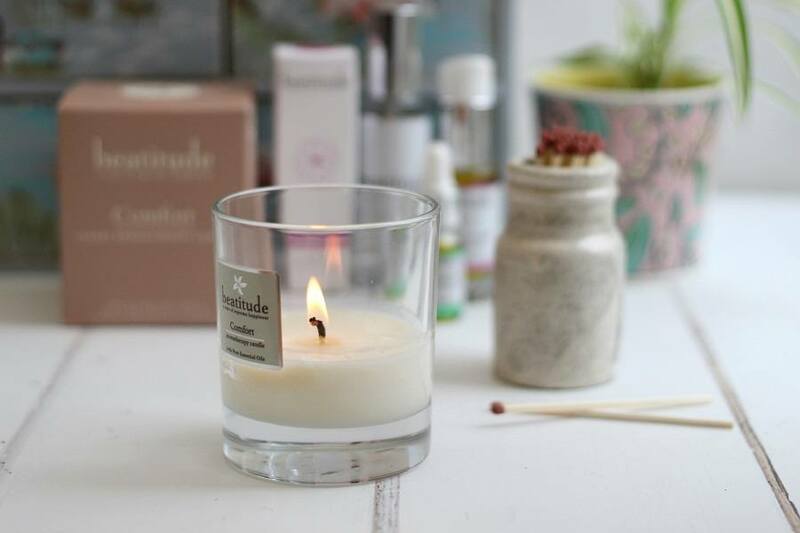 As someone who finds calm essential to a working day, I have been burning this candle in my office everyday since I received it! As you can see I have already burned it half way down! …as you can see I have already burned it half way down! I spray this it over the bed before we go to sleep, the old man complains but it has become part of my bedtime ritual and I love it! Also handy if you ever feel stressed during the day, a quick spritz, a few deep breaths, perhaps a nice cuppa and all is well again! 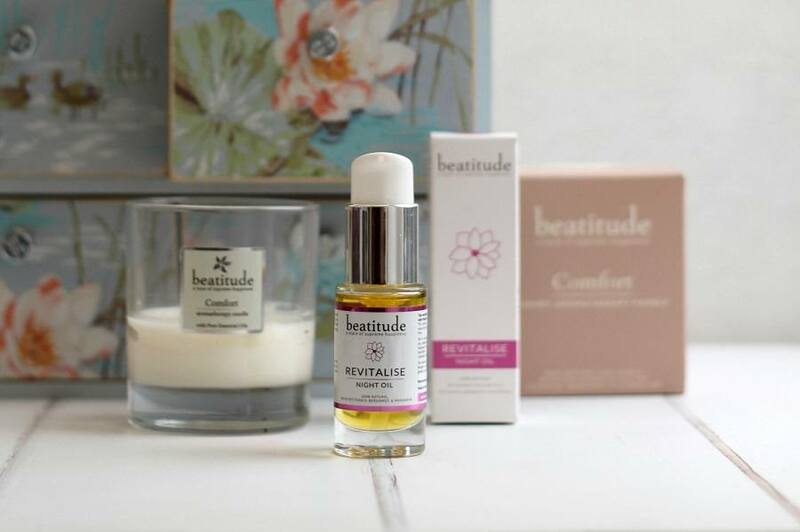 Also handy if you ever feel stressed during the day, a quick spritz, a few deep breaths, perhaps a nice cuppa and all is well again! 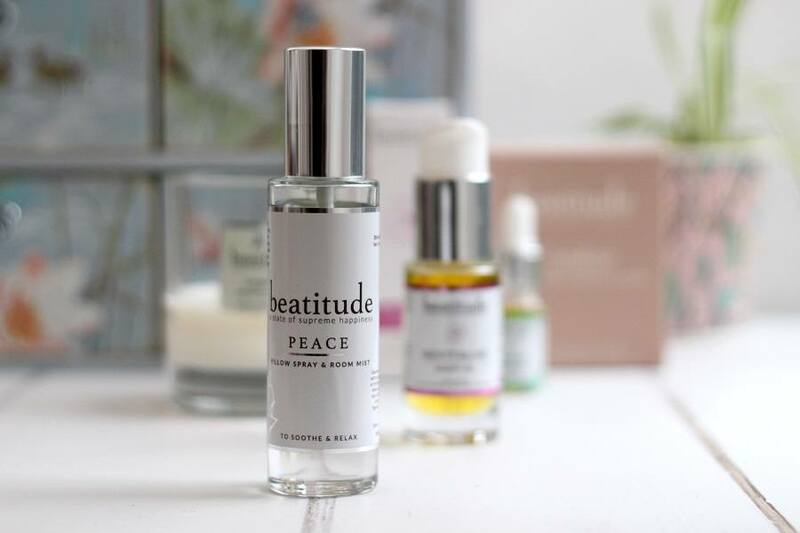 Beatitude call it their ‘sunshine in a bottle’ in which case I think I may need a bucketful! Especially with all these grey windy days we are experiencing in the UK right now. It is on my Mothers Day list, so watch this space, I will let you know if it works. Disclosure/ AD/ This post was written in collaboration with Beatitiude. Older Posts you may enjoy! Previous Post Making Small Sustainable Changes To My Health & Beauty Routine. There is nothing like a bath. I haven’t had a good bathtub in about 8 years. My last “good” tub was a wonderful old clawfoot tub in an 1800s brownstone in Brooklyn. I had several luxurious baths a week. I did have a tub in a recent apartment but it was one of those crappy “builder” tubs, very shallow, more trouble than it was worth as you could not properly submerge and the sticking-out parts always got cold and THAT’S not fun! I will look into these products as they sound delightful. When is UK Mother’s Day? I always forget it’s not the same as in the US (second sunday in May). 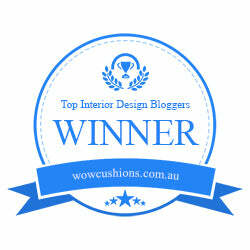 Thank you for your lovely comment! I am a super fan of natural products and these do not dissapoint. Mothers day in the Uk this year is the 31st March!